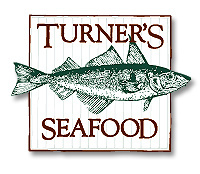 Located in historic Salem, Mass., Turner’s Seafood at Lyceum Hall offers an authentic New England seafood experience with its classic lunch and dinner menus, imaginative daily specials, oyster bar, and seafood market. Guests can dine in or buy from the market to whip up their own specialty seafood dish in the comfort of their own home. Love history and a unique setting? This 19th-century venue with its high ceilings, brick walls, oak floors, and large windows is the ultimate gathering space for friends and family, or hosting your next party. You may even experience some paranormal activity!